Ruth Arlene Lidtke, 90, of Lime Springs, IA passed peacefully Monday, March 25, 2019, at St. Mary’s Hospital, Rochester, MN. Ruth was born January 20, 1929, on the family farm near LeRoy, MN. She was baptized at Bethania Lutheran Church and confirmed at LeRoy Lutheran Church. Ruth attended a country school and graduated from LeRoy High School in 1947. On September 12, 1954, Ruth married Roy Lidtke at LeRoy Lutheran Church and to this union they were blessed with three daughters. Together they farmed for 44 years. In 1989, they semi-retired and moved to the family home in Old Town by the river and family mill. They celebrated 64 years of marriage. Ruth lived up to her Biblical name being a faithful caregiver to her parents for many years. Ruth had a passion for reading, writing letters, sewing, and baking. No one left her home without a bag or two of homemade cookies. Ruth’s faith was strong. Her favorite Psalm was the 23, which she memorized in fourth grade. 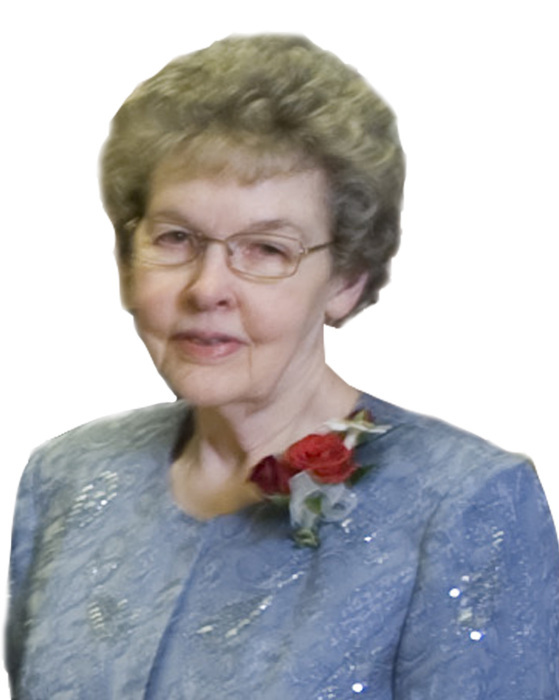 Ruth was a member of St. Paul Lutheran Church and a life-long member of the Ruth Circle. Ruth was also a member of the American Legion Auxiliary for many years. Ruth’s greatest love was her family. She felt blessed to have them so close and to gather so often. In later years she was able to enjoy family trips with her husband, Roy, children, grandchildren, and great-grandchildren. She was preceded in death by her parents, Elgar and Agnes Speer, brother, Victor, sisters-in-law Katherine Speer and Mayvis Speer. She is survived by her husband, Roy, of Lime Springs, IA, three daughters, Janine (Paul) Knapp of Hudson, IA; Dawn (Derwin) Osmundson of West Union, IA; Ruth Ann (John) Sacquitne of Decorah, IA. Six grandchildren: James (Kathryn) Knapp, Jennifer (Joshua) Knapp Severson, Dacia (fiancé Jason Tague) Osmundson, Daniel (Krista) Osmundson, Samuel and Sonja Sacquitne. Seven great-grandchildren: Theodore and Ann Knapp, Fletcher, Sloan, and Bergen Severson, Greysen Caya, and Emerlyn Osmundson. Three brothers, Kenneth Speer and Virgil (Mary) Speer of LeRoy, MN and Dale Speer of Elgin, MN and many nieces and nephews. In lieu of flowers, the family requests memorials to be directed to the Lime Springs Lidtke Mill National Historical Site to purchase a park bench.